Your day-by-day itinerary now includes Santa Claus Reindeer. Step out of the city life by going to Safaris and Syvasenvaara Fell. There's lots more to do: get engrossed in the history at Arktikum, see Santa Claus Office, hit the slopes at Ounasvaaran Hiihtokeskus Oy, and get in on the family fun at SantaPark - the Home Cavern of Santa Claus. 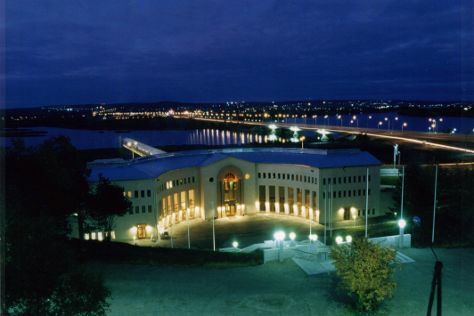 For reviews, ratings, more things to do, and other tourist information, you can read our Rovaniemi trip itinerary site . Expect a daytime high around -1°C in March, and nighttime lows around -9°C. Wrap up your sightseeing on the 10th (Sun) to allow time to travel back home.